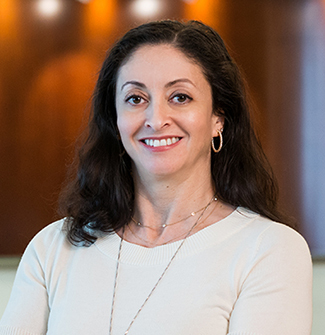 Mona Amer, an Of Counsel in Orrick's Los Angeles office, is a member of the Litigation Group and the White Collar Criminal Defense and Corporate Investigations Group. Her practice focuses on white collar criminal defense and corporate investigations. Mona also has extensive experience representing plaintiffs and defendants in complex commercial litigation in state and federal courts involving breach of contract, fraud and unfair business practices. On October 31st of this year, a district judge in Massachusetts granted a motion for enhanced damages in a theft of trade secrets case, adding an additional $21 million to a $70 million jury award. Will We See Federal Trade Secret Legislation Passed This Year? We’ve written previously about how intellectual property owners can obtain both patent and trade secret protection in the same technology. A case out of the Federal Circuit illustrates that IP holders sometimes choose to assert both in the same action – including, notably, in actions before the International Trade Commission (“ITC”). Trade secret misappropriation cases often are won or lost quickly and early at the preliminary injunction stage of the case. However, today we report on the results of a slow moving, long-running trade secret case that instead followed the adage, “good things come to those who wait.” This case, MSC Software Corp. v. Altair Engineering, Inc., recently concluded with a largedamages verdict for the trade secret owner who just would not quit.